Something weird just happened on one of Fortnite sensation Ninja’s streams: a player, wearing a leprechaun skin, was smaller than other players. Battle of the battle royales: which is better, Fortnite or PUBG? Ninja promptly blew the happy little imp away but, noticing her small size, tweeted out a clip of the evidence. As he points out, this player was quite clearly smaller than everyone else. As Goldeneye’s Oddjob taught so many Nintendo fans in the ’90s, being smaller than other players is a clear advantage (though making leprechauns being smaller than humans reflects an admirable dedication to mythological authenticity). 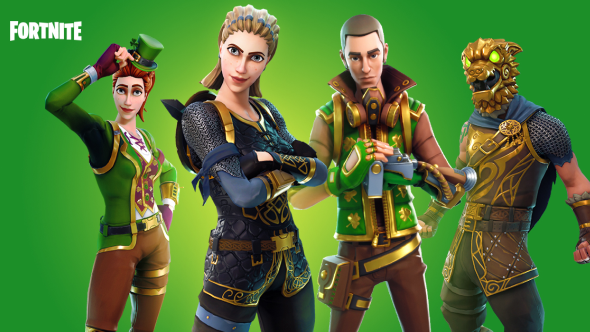 Moreover, since that leprechaun skin – named Sgt Green Clover – is a paid-for cosmetic, the thread underneath that tweet is already attracting one of the most hated three character acronyms in gaming: ‘P2W’. We can all relax though – those accusations are probably made with tongues in cheeks, or out of ignorance. The skin doesn’t make you smaller under normal circumstances, as this gameplay of a regular-sized leprechaun shows. One commenter claims it’s a rare bug that they have seen with prime skins before, saying the character is knee-deep in the ground and thusappearsshorter. Though you can see the leprechaun’s feet in this instance, a bug is the likeliest explanation. Here’s hoping it’s also rare, and that Epic get it fixed soon.